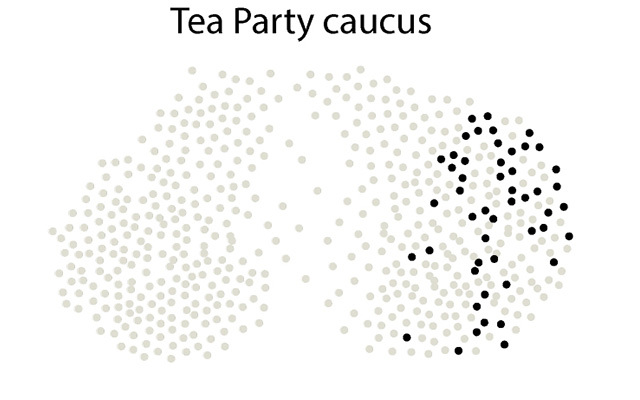 Congress is a polarized place. You don’t need a map to tell you that. But in the digital age, the way members of Congress interact on Twitter can tell us a lot about offline relationships. Twitter feeds have become part of the public face of the office -- no matter which staffer actually writes the quippy contributions. The graphic below gives an idea of how relationships play out in the Twittersphere. Names in the biggest type are those with the largest combined number of Twitter followers and those they follow. The closer two members are together, the closer their connection. 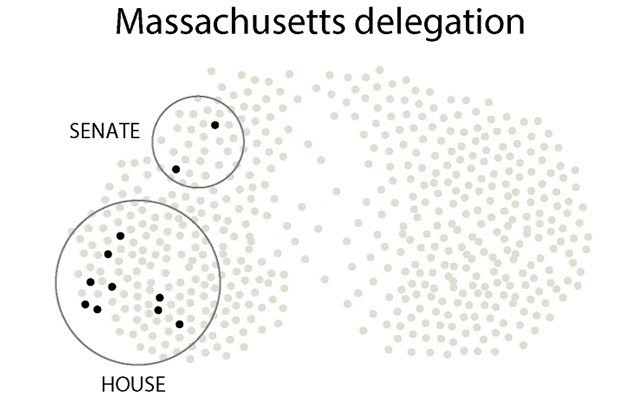 Those in the middle are most likely to be connected with members of the opposite party, while those on the right and left edges tend to network in a more partisan fashion. Many newer members of Congress are located in the center of the map, meaning they are more likely to follow members on Twitter across the aisle than their more senior colleagues. That doesn't necessarily mean they are bipartisan, however. It may be that they came up politically in the age of Twitter, depending on it as a key to their communications strategy. Members of leadership, female Democratic senators and Tea Party members, for example, have tight relationships online just as they do offline. 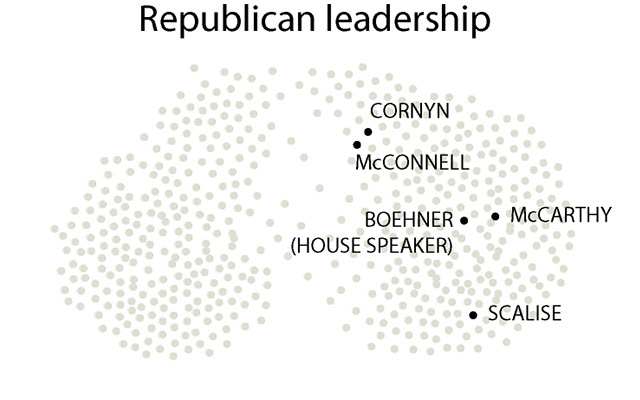 The graphic below shows which accounts members of Congress follow. Media outlets perceived as more partisan are followed by greater numbers from one party or the other. 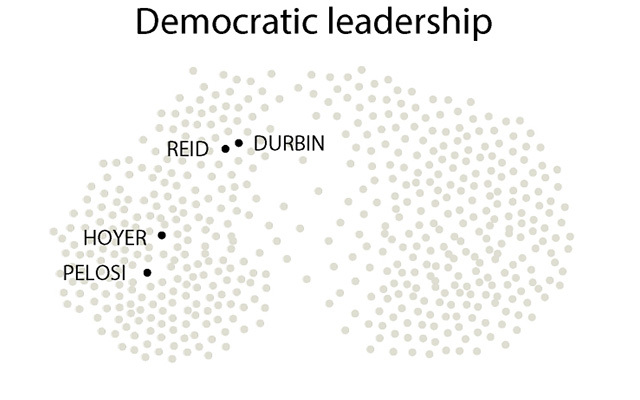 Others, like the AP and CNN, have about equal followings from either party and land in the center of the chart. The dotted line in the bar graphic represents the balance point. There are 27 more Republicans than Democrats in Congress, so if every single member of Congress would follow a handle, this will be the place where it would fall.